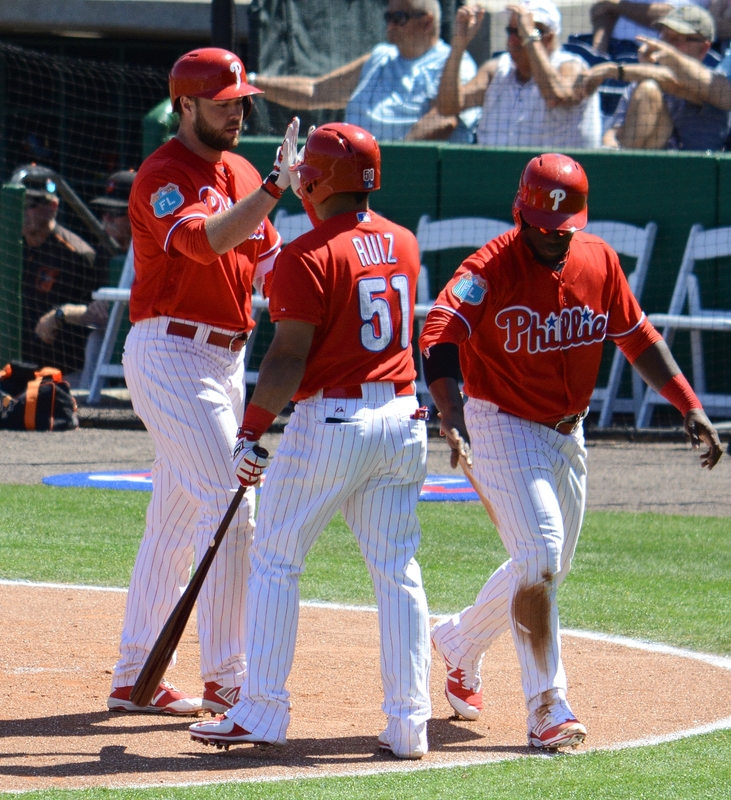 Clearwater, Fla. — The Philadelphia Phillies continued their springtime winning ways Wednesday at Bright House Field in Clearwater, pounding out 14 hits on their way to an 8-4 victory over the winless Baltimore Orioles in a split-squad game. The Phillies’ travel squad also logged a victory in Fort Myers against the Minnesota Twins by a score of 4-2. The home-based Philadelphia contingent jumped on Orioles starting pitcher Yovani Gallardo right out of the gate: Peter Bourjos led off the game with a double and then scored on Odubel Herrera’s two-base hit one out later. 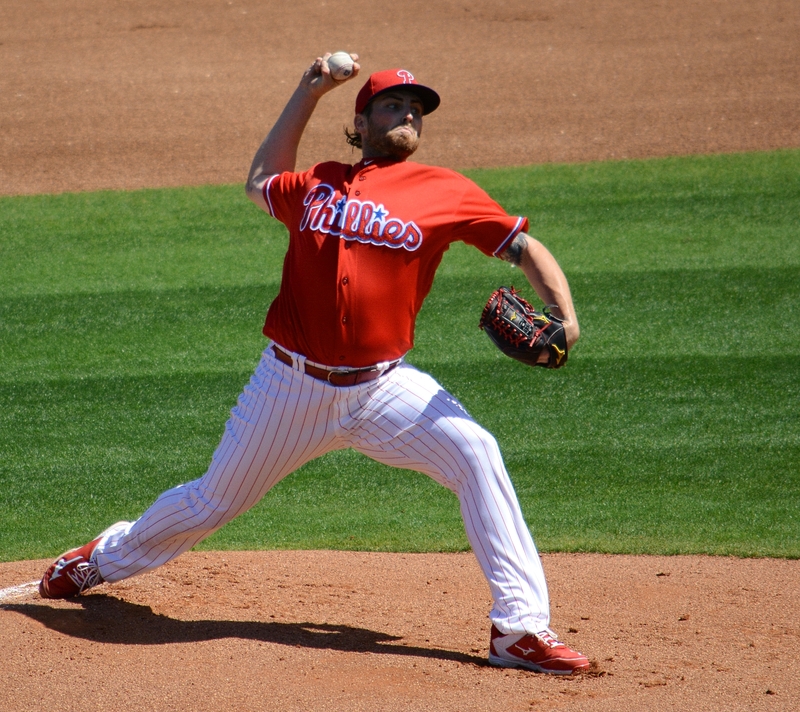 First baseman Darin Ruf followed with a two-run homer to left-center field, staking the Phils to a 3-0 lead. 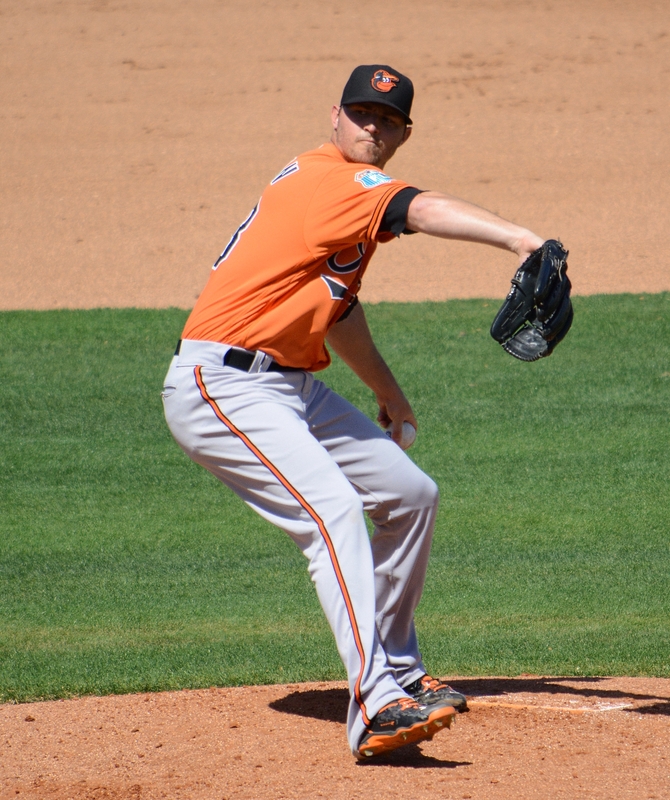 Baltimore responded with a pair of runs in the top of the third, courtesy of a long two-run homer off the bat of third baseman Manny Machado. Machado’s tape-measure blast inside the left field foul pole was his first long ball of the spring. The Philadelphia offense responded one inning later, and again Ruf was right in the middle of things. The big first baseman led off the inning with his second home run of the game, which padded the Philly lead to two runs. The Phils tacked on another run later that inning when Taylor Featherston singled in catcher J.P. Arencibia, who had doubled with one out. 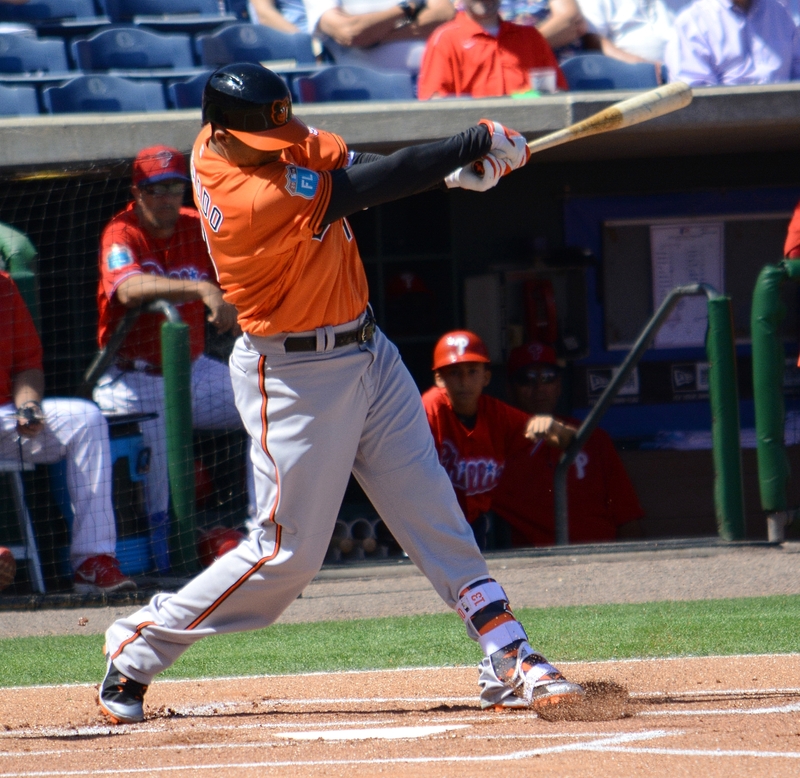 Philadelphia added single tallies in the fifth and seventh innings, which provided some much-needed insurance when Baltimore’s Xavier Avery smacked a two-run homer in the top of the eighth. 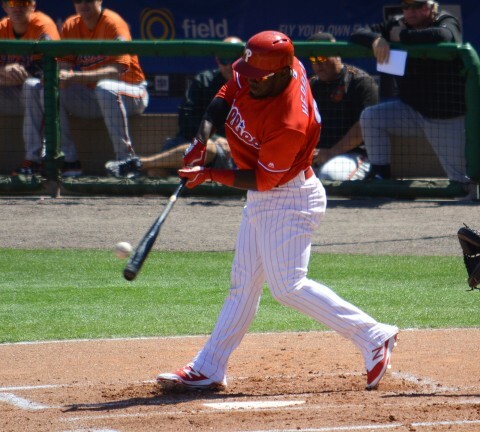 The Phillies answered with a single tally in the bottom of the frame; reliever Hector Neris recorded the final five outs to notch his second save of the spring. Philadelphia starting pitcher Alec Asher allowed three hits and struck out five batters in picking up his second win of the spring, but Machado’s homer put a dent in an otherwise strong outing. Ruf’s pair of homers and three RBIs made him the hitting star; he now has three dingers in the past two games. While Ruf’s big numbers grabbed the headlines, Herrera, Bourjos and J.P. Arencibia also enjoyed solid days at the plate. Orioles starting pitcher Yovani Gallardo suffered through a rough outing, allowing three earned runs and four hits in his two innings of work. Machado and Avery’s two-run homers provided all of Baltimore’s scoring; Avery and second baseman Jonathan Schoop each had a pair of hits. The Phillies will host the Detroit Tigers Thursday, March 10 at Bright House Field, and then the team heads to Lake Buena Vista for a date with the Atlanta Braves on Friday, March 11.